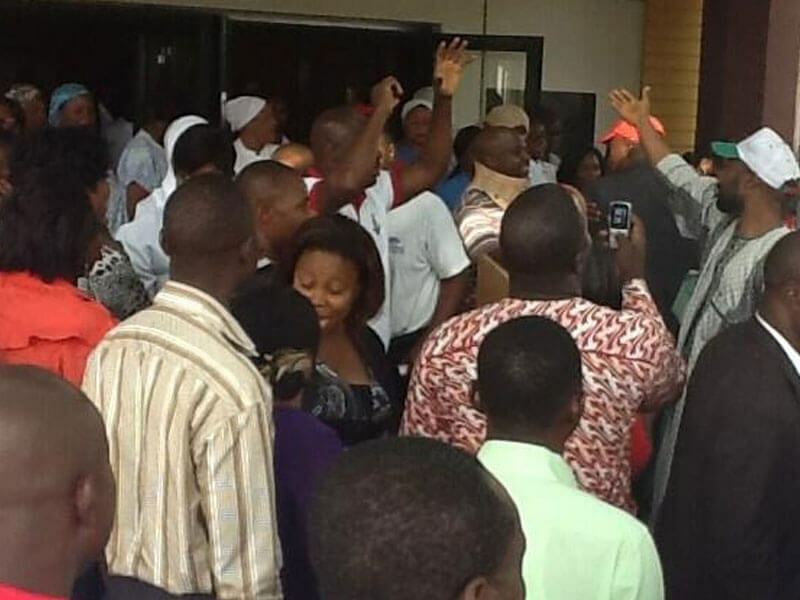 Leaders of Nigeria Labour Congress (NLC) and that of Trade Union Congress (TUC) earlier on Thursday chased away other civil servants in Ekiti State from offices in protest over unpaid salaries. Comrades Ayodeji Aluko of the NLC and Kolawole Olaiya of the TUC accused the Ayo Fayose led for insensitivity and insincerity in its promise to pay the worker’s outstanding salaries. The leaders have also asked the workers to begin an indefinite strike until further notice. 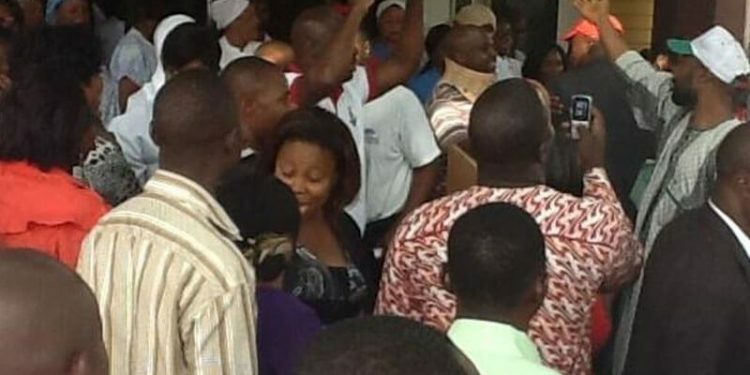 Earlier, the Nigeria Union of Local Government Employees (NULGE), had in a statement by its President, Bunmi Ajimoko, asked its members to begin an indefinite strike but later called it off without giving any reason. The irate workers in the state also dissolved the state executives of the NLC and TUC, headed by Comrades Ade Adesanmi and Odunayo Adesoye respectively, and accused them of not doing enough to get the State Government to pay the outstanding salaries. While addressing the workers, Aluko said: “Shortly after the election, Fayose quickly paid six month salaries and furniture allowances of political office holders, then what becomes of our teeming workers?